Back in April, I returned to Texas to try and get a few more photos of some of the tougher species on my list. Top of that list was the Colima Warbler. 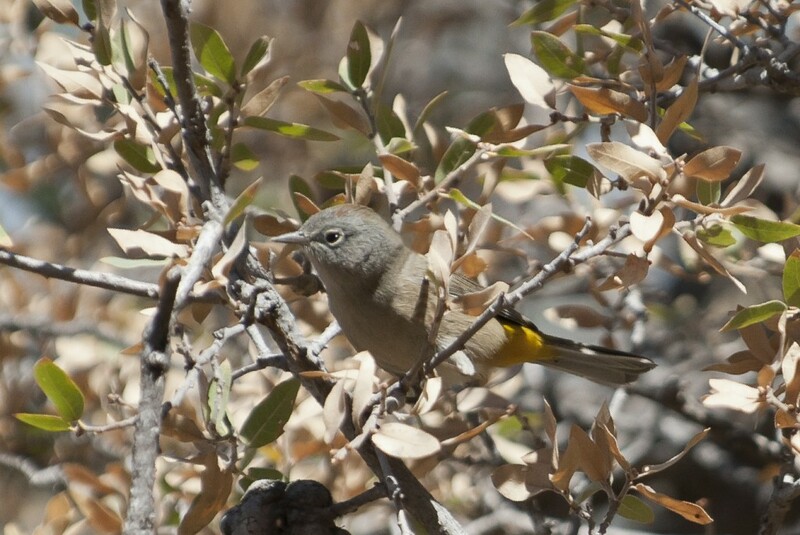 In North America this warbler is found only in Chisos Mountains of Big Bend National Park. This park is in a very remote part of Texas, along the border of Mexico. Some good accomodations are available but as I found out when trying to book a room, one should book early. 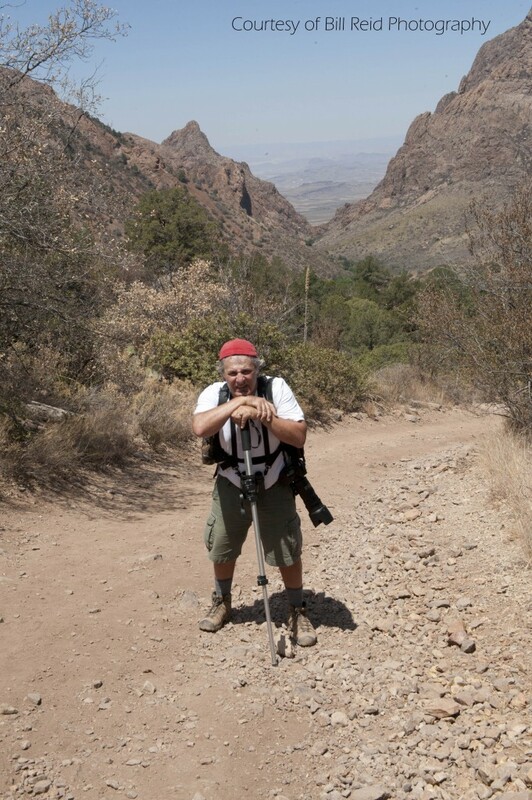 Even 4 months before I was leaving, no rooms were available at the Chisos Mountains Lodge, trailhead to the mountains. 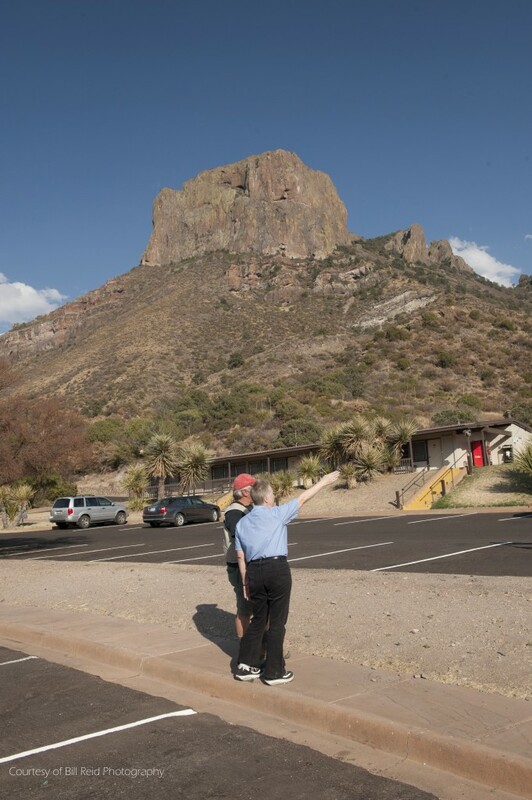 I managed to book a room in the town of Terlingua, at Big Bend Resort and Adventures, about a 3/4 hour drive to the trailhead. We arrived the afternoon before, to check out the area. As we parked the car at the trailhead. We met a very helpful female resort employee. She pointed out where the Colima Warbler was being seen. I sure wasn’t too thrilled about, where she was pointing. Walking up to the hotel, we found the gift shop, guides and maps of the area were available. We talked to a few people trying to get as much info as we could about the climb. We then decided to get back to our hotel, get some food and rest. 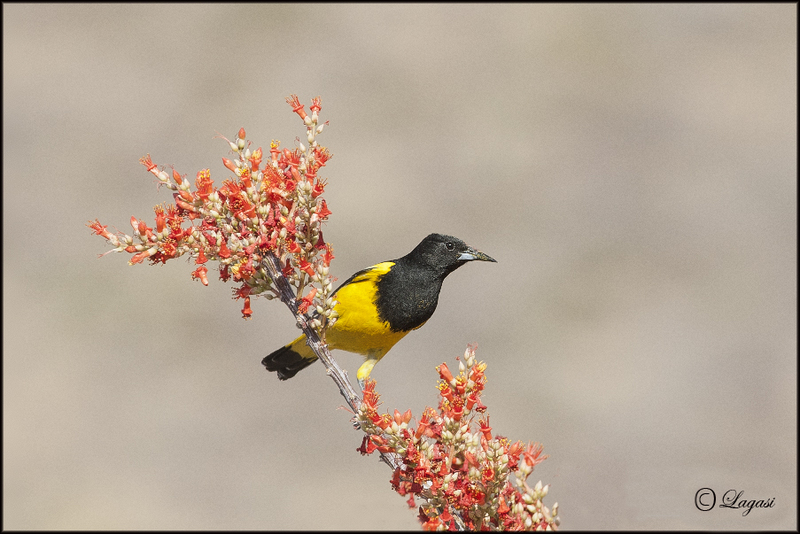 Heading back to our car we saw a Scott’s Oriole feeding, stopping we snapped away..some great light and resulting images. We also had a very tame Roadrunner..
Bill and I had been working our way up to the climb, we’d been walking on average 3-5 miles every other day. Next morning, we were as ready, as ever. The forcast for the next day was dry, blue skies and 107 degrees (that I wasn’t ready for). The Pinnacles Trail is 5 miles long, climbing 800 feet as it goes along, so at least a gallon of water was recomended. Away we went with cameras, binoculars, snacks, water (I drank it all) and sunscreen, loaded and ready for the climb. And climb we did, the photo below shows me at about the half-way mark, totally glad I’d quit smoking the year before. If I look tired you’d be right The further along I went though, the easier my breathing and stride became. My heart still pounded at times but short breaks helped. Then we finally came to the marker that we’d been told the elusive Colima had been seen. We listened for any sound but after 1/2 hour, we’d seen nothing. I decided it was time for the me to try a call, maybe that would work. Work it did, I no sooner started the call and in the bird came. No binoculars needed, 4 feet away in a bush sat one of the hardest warblers…the Colima Warbler. It gave us a minute, never really coming out into the open. Then it was gone. We really didn’t have time to wait for its return, it was getting very hot out by now and we had a long walk back to the car. It took us 4 hours to climb up but a little under 3 hours down, so if you plan this trip, plan for a full day. This entry was posted in Birds, Trips. Bookmark the permalink.